Situated near the airport, this hotel is 0.1 mi (0.1 km) from Esperanza Malecon and 2 mi (3.2 km) from Bioluminescent Bay. Sun Bay and Black Sand Beach are also within 2 mi (3 km). Situated near the airport, this luxury hotel is 0.4 mi (0.7 km) from Black Sand Beach and 3 mi (4.8 km) from Bioluminescent Bay. Esperanza Malecon and Sun Bay are also within 2 mi (3 km). Situated on the Strip, this hostel is 0.1 mi (0.1 km) from Esperanza Malecon and 2.2 mi (3.5 km) from Bioluminescent Bay. Sun Bay and Black Sand Beach are also within 2 mi (3 km). 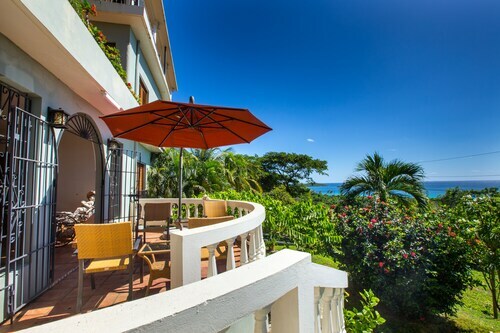 Nestled on the beach, this Vieques guesthouse is within 1 mi (2 km) of Sun Bay and Black Sand Beach. Bioluminescent Bay and Media Luna Beach are also within 3 mi (5 km). Situated near the beach, this guesthouse is 0.4 mi (0.7 km) from Esperanza Malecon and 2.3 mi (3.7 km) from Bioluminescent Bay. Black Sand Beach and Sun Bay are also within 1 mi (2 km). Situated in Vieques, this hotel is 0.1 mi (0.2 km) from Esperanza Malecon and 2.1 mi (3.4 km) from Bioluminescent Bay. Sun Bay and Black Sand Beach are also within 2 mi (3 km). 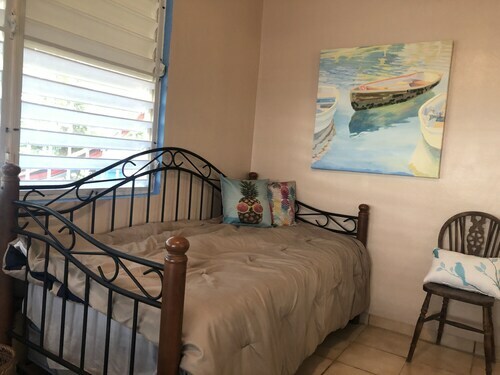 With direct access to the beach, this Vieques guesthouse is on the boardwalk and within 1 mi (2 km) of Esperanza Malecon, Sun Bay, and Black Sand Beach. Bioluminescent Bay and Caracas Beach are also within 6 mi (10 km). 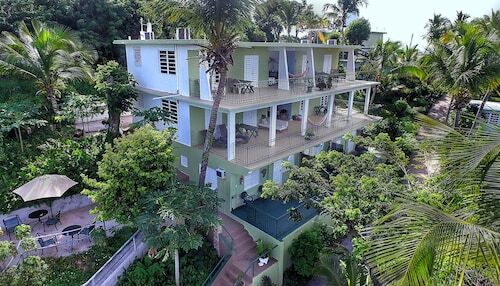 This family-friendly Vieques hotel is located near the airport, within a 10-minute walk of Fort Conde de Mirasol and Vieques Ferry Terminal. Munoz Rivera Square and Isabel Segunda Harbor are also within 15 minutes. Modern House With Amazing Carribean Views! 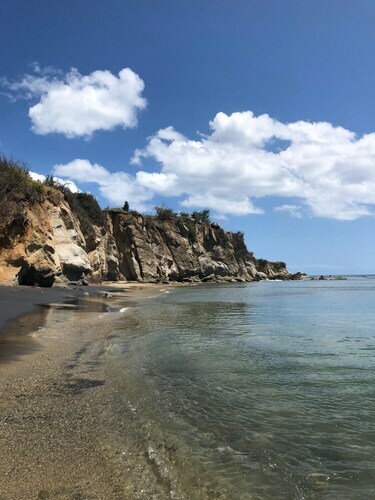 Located in Puerto Ferro, this property is 1.6 mi (2.5 km) from Bioluminescent Bay and 2.6 mi (4.2 km) from Vieques Ferry Terminal. Munoz Rivera Square and Fort Conde de Mirasol are also within 3 mi (5 km). Located in Puerto Ferro, this vacation home is within 3 mi (5 km) of Munoz Rivera Square, Bioluminescent Bay, and Vieques Ferry Terminal. Fort Conde de Mirasol and Isabel Segunda Harbor are also within 3 mi (5 km). Home Convenient to the Beaches!! Perfect for a Couple or Family. Sleeps 8! Located in Puerto Ferro, this romantic vacation home is within 3 mi (5 km) of Munoz Rivera Square, Bioluminescent Bay, and Vieques Ferry Terminal. Fort Conde de Mirasol and Isabel Segunda Harbor are also within 3 mi (5 km). Located in Puerto Ferro, this guesthouse is within 3 mi (5 km) of Munoz Rivera Square, Bioluminescent Bay, and Vieques Ferry Terminal. Fort Conde de Mirasol and Isabel Segunda Harbor are also within 3 mi (5 km). Allow nature to envelop you while you explore Bioluminescent Bay. 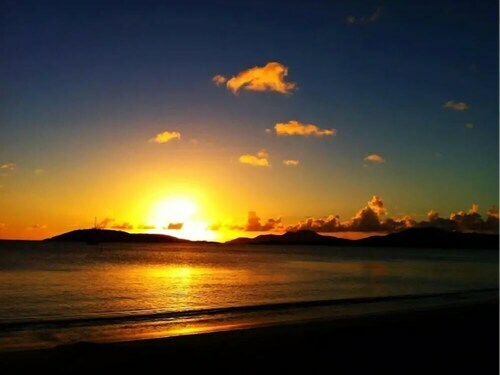 Vieques is where you can find it. There aren't really a lot of accommodation options if you are looking to get a room within a short drive of Bioluminescent Bay. The closest one is the El Blok, which is 2 miles (3 kilometers) away. For patrons that like low prices, think about making a reservation at one of the inexpensive solutions available here. You will be able to find the Sea Gate Hotel and the Lazy Hostel a reasonable drive away. 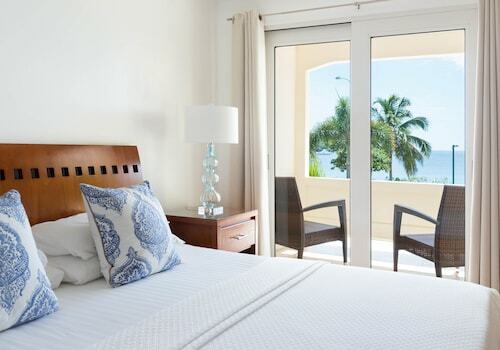 In order to be close to all the excitement, and stay in luxurious surroundings, reserve a room at the W Retreat & Spa - Vieques Island, only 3 miles (5 kilometers) away. Plan a fun outing for the kids at Navio Beach, where you can splash around in the water to your heart's content! Enjoy the fresh, salty air and stare out to sea at Media Luna Beach. Breathe in the salty, fresh air and listen to the waves crashing down when you spend the day at Sun Bay. Go on an adventure over the water with a short trip to Isla Real. Schedule a cruise around Bahía Mosquito to appreciate the vibrant sea air and lapping waves. How Much is a Hotel Room in Bioluminescent Bay? Hotels in Bioluminescent Bay start at $18 per night. Prices and availability subject to change. Additional terms may apply. Escape From it Stunning Oceans Views and Pool! Private Pool Bar in Paradise With Panoramic Caribbean View! A/c, Wifi, Perfect! Skyfall Upper Villa - Breathtaking Caribbean Views! 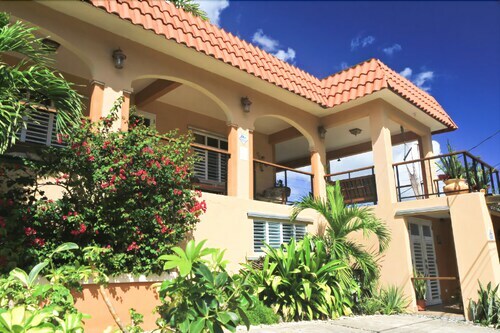 Skyfall Lower Villa - Breathtaking Caribbean Views! Skyfall Full Villa - Breathtaking Caribbean Views! Vieques is Gorgeous! See it From up Here - Spectacular Pool and Panoramic Views! 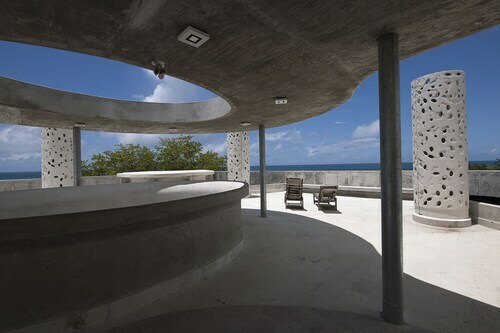 Spectacular Hillside Villa - Best Views on Vieques - As Seen on H.g.t.v! 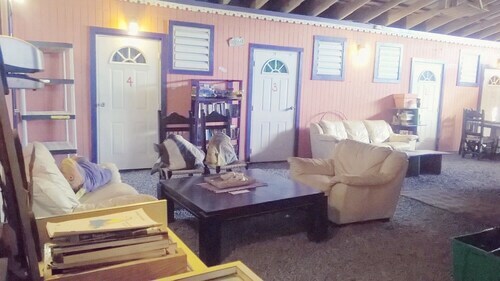 Casa Almendro Caribbean Views, Walk to Esperanza, Vieques Restaurants & Beaches!